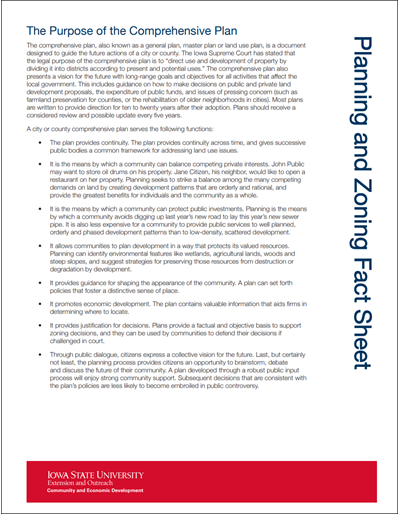 The planning and zoning process directly affects the lives of more than 85 percent of all Iowans. 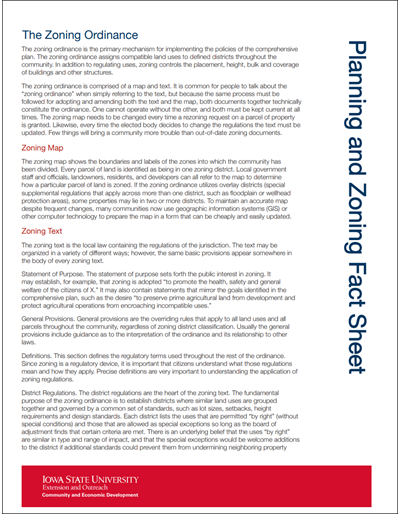 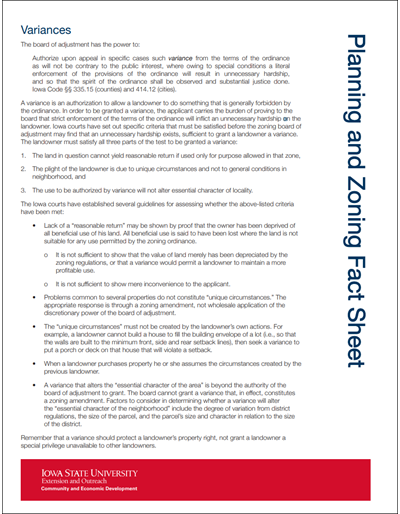 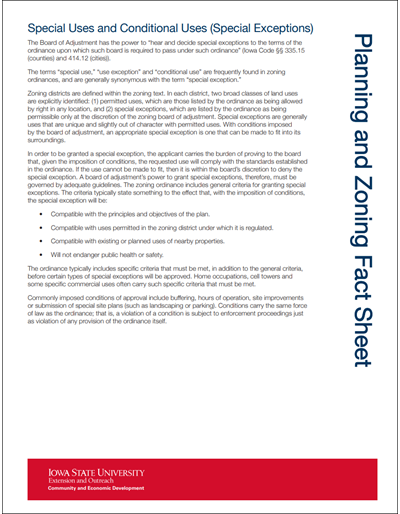 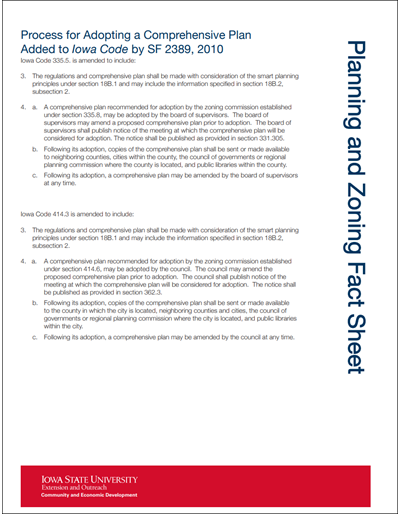 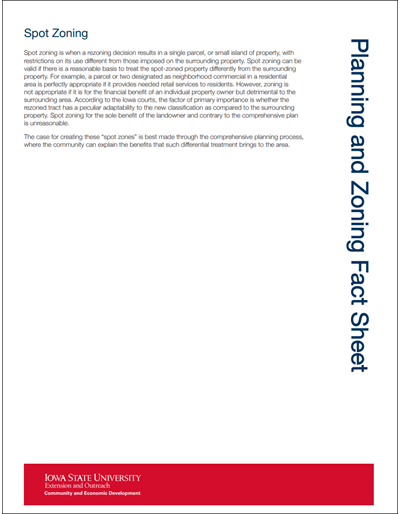 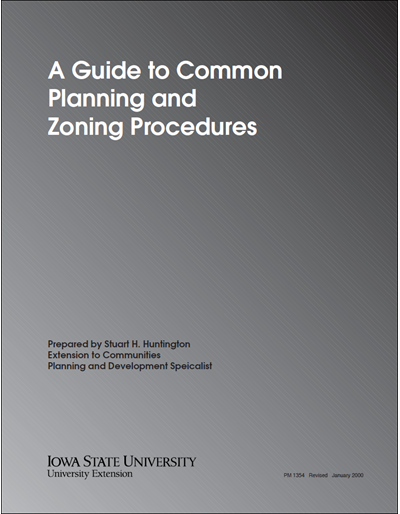 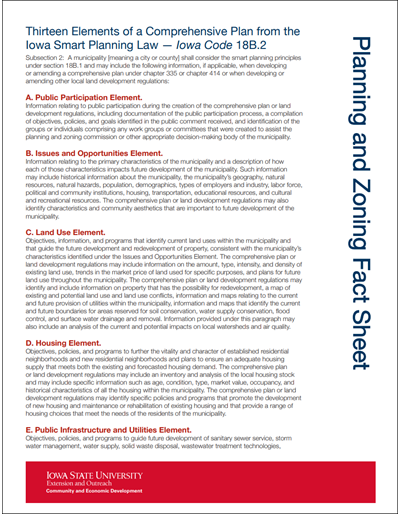 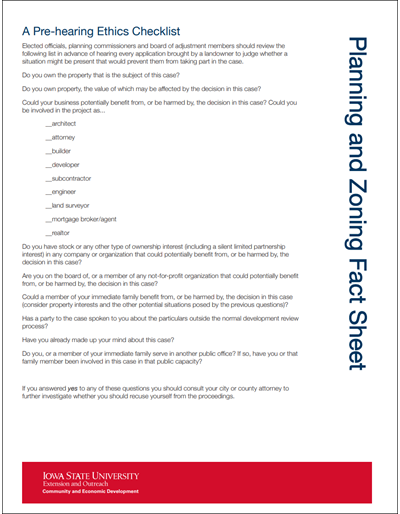 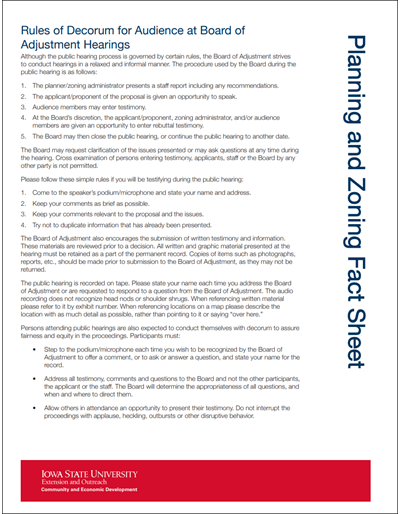 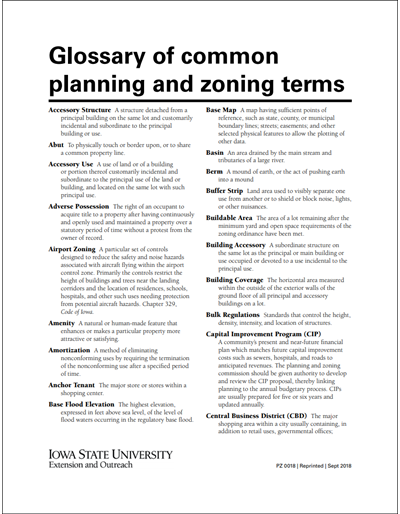 Each zoning activity has its own statutory and ordinance procedures. 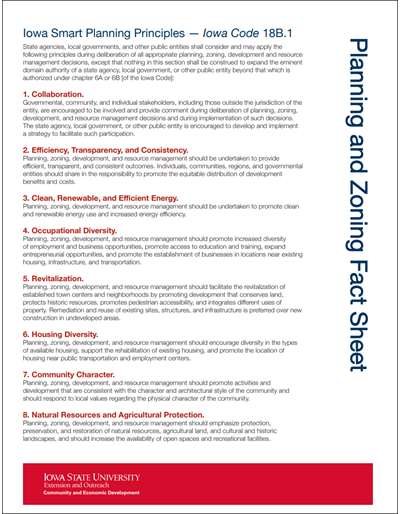 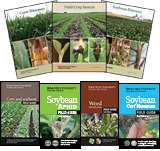 These ensure that the rights of citizens are protected as communities regulate land use.